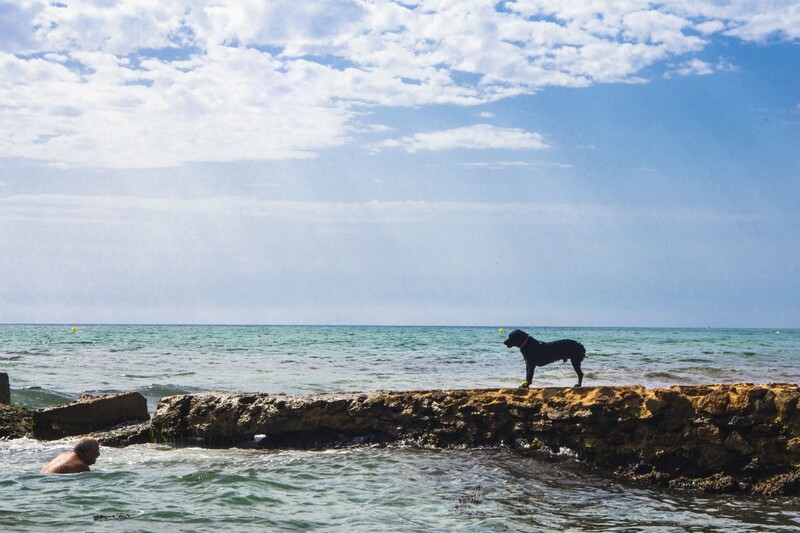 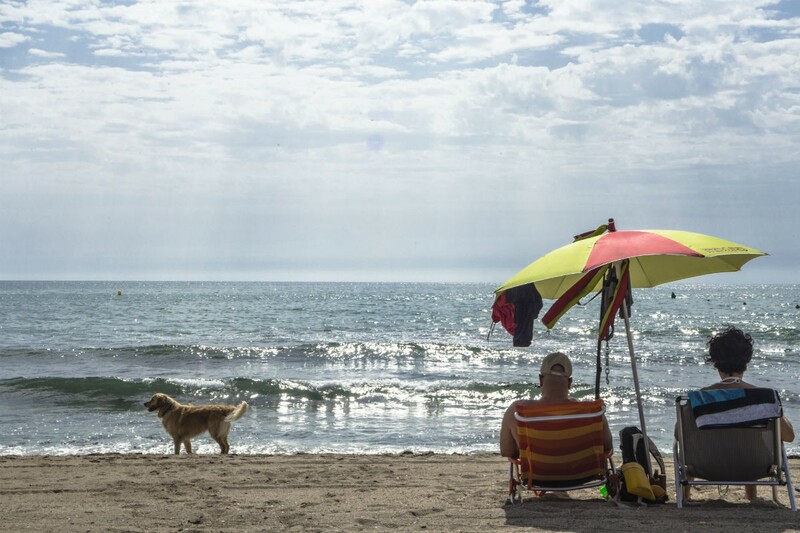 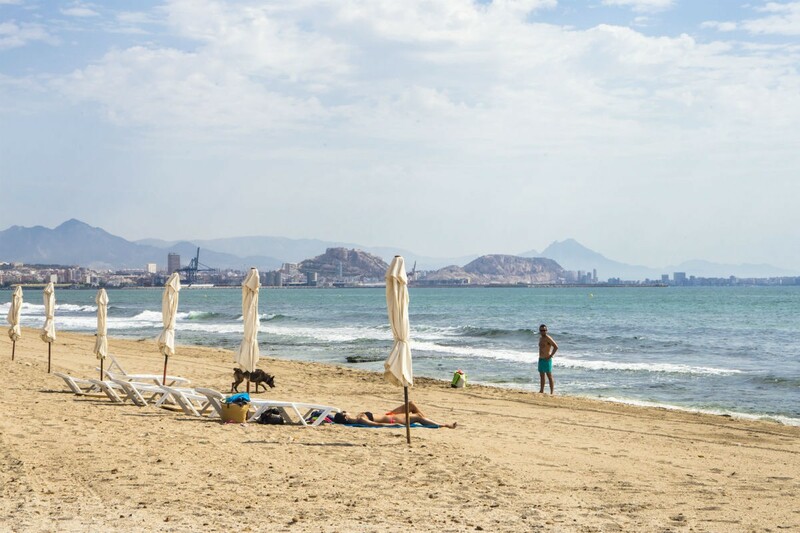 They say that dogs are “man’s best friend”, and in Alicante we can see that clearer than the waters of our beaches. 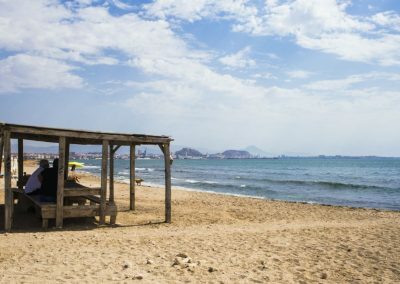 And whilst we’re on the subject of beaches, why not check out La playa de Agua Amarga. 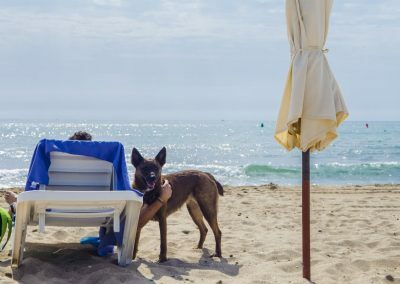 A unique beach in Europe that has been adapted especially for dogs; truly a ‘Doggy Beach’, offering all the services you and your pet need to spend a couple of wonderful days relaxing, with everything you need to ensure your days by the seaside are perfect. 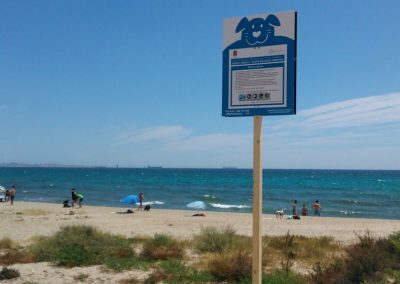 Playa de Agua Amarga is the first ‘Dog Friendly’ beach in Spain, allowing dogs to go into the sea during the summer months. 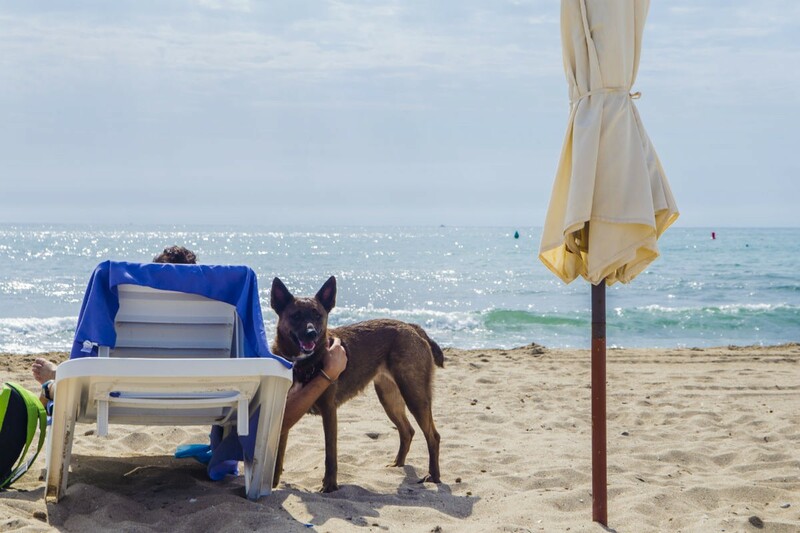 It also offers specially adapted services so that you and your pet can enjoy a holiday that truly meets your needs. 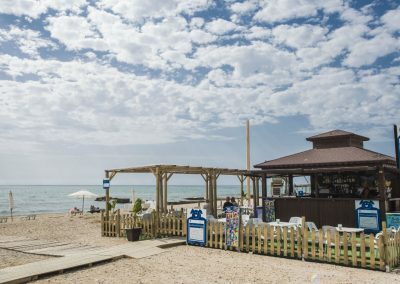 The Playa de Agua Amarga also has a specially adapted beach bar that serves food and drinks, as well as dog food. 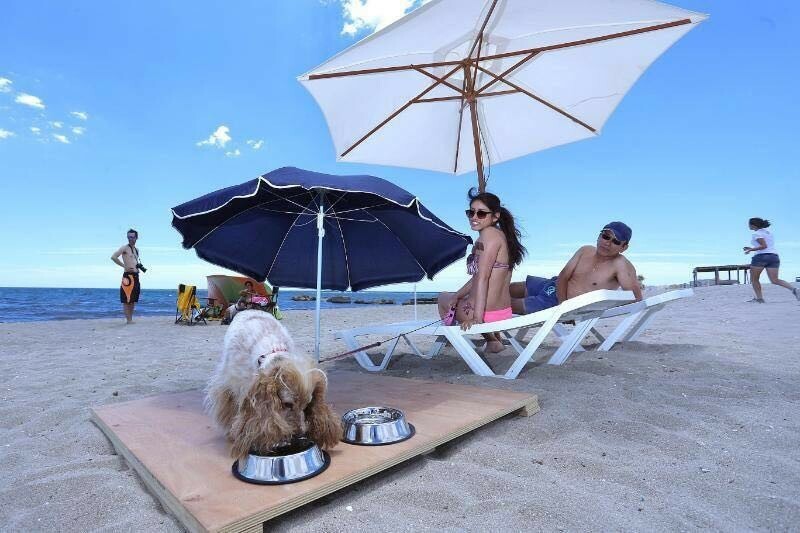 In order to offer this culinary service for canines, there is a special bar with disposable bowls for food and water. 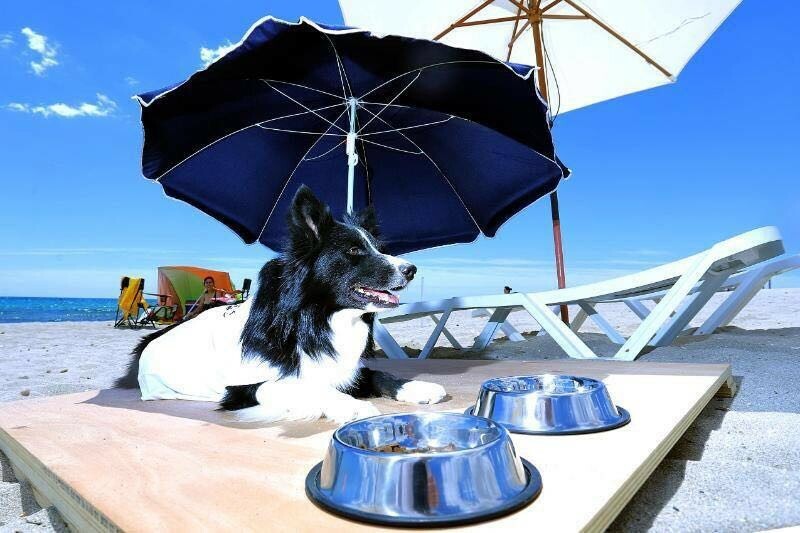 The beach bar is fenced in so that people can sit back and relax while their best friends eat and drink by their side. 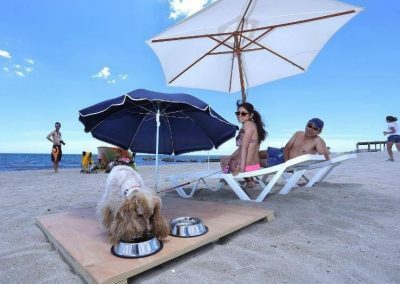 Cuisine that will have your canine chums licking their chops. 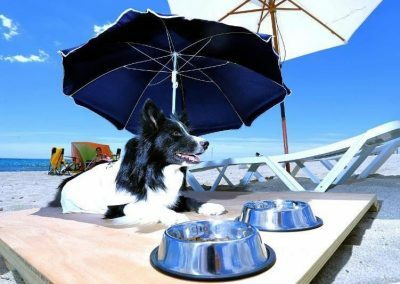 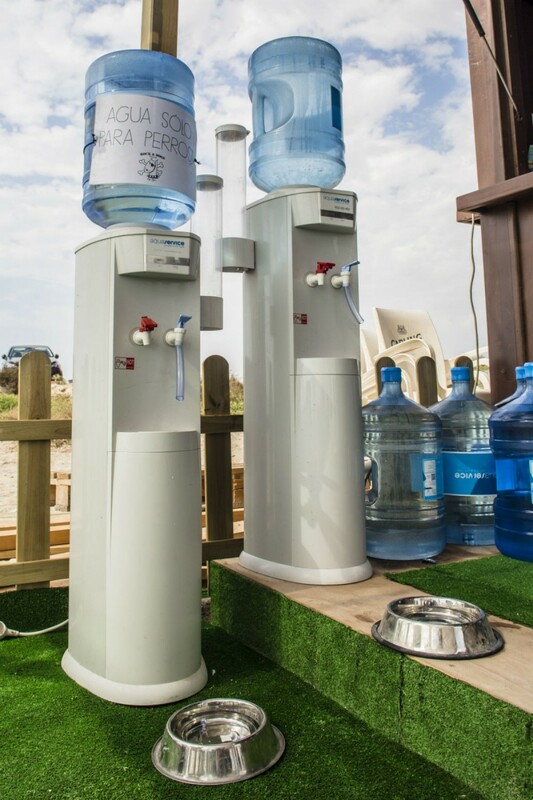 The Playa de Aguamarga not only has a special doggy beach bar, it also offers other services to meet your pet’s needs and make your stay here truly pleasurable. 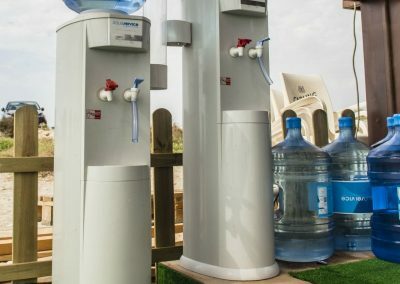 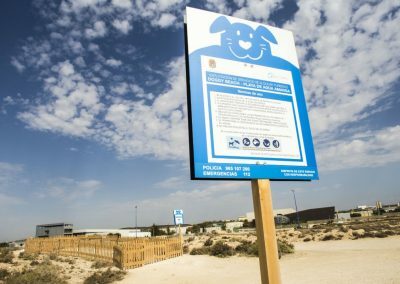 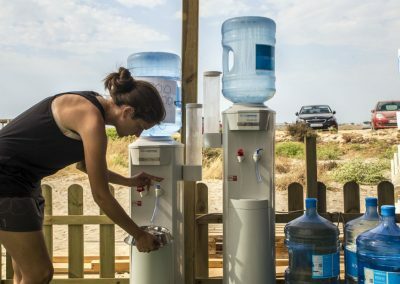 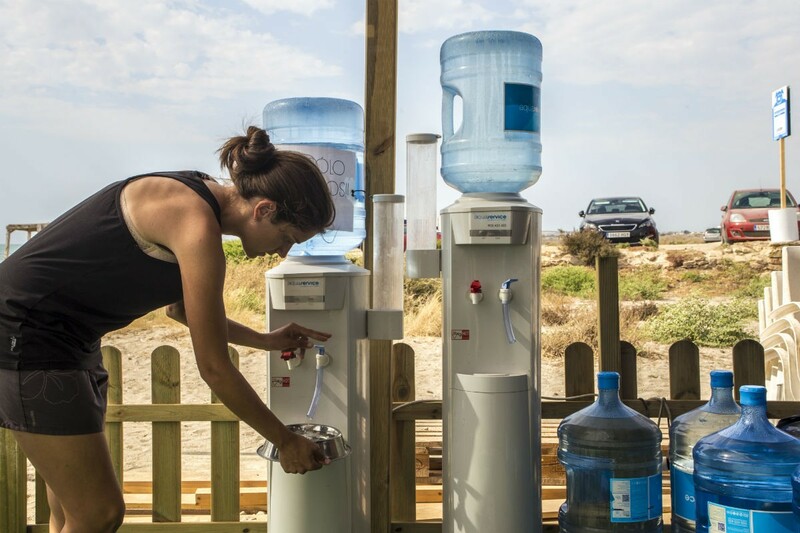 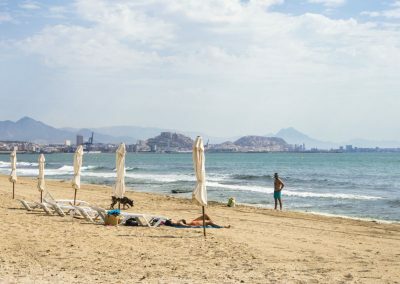 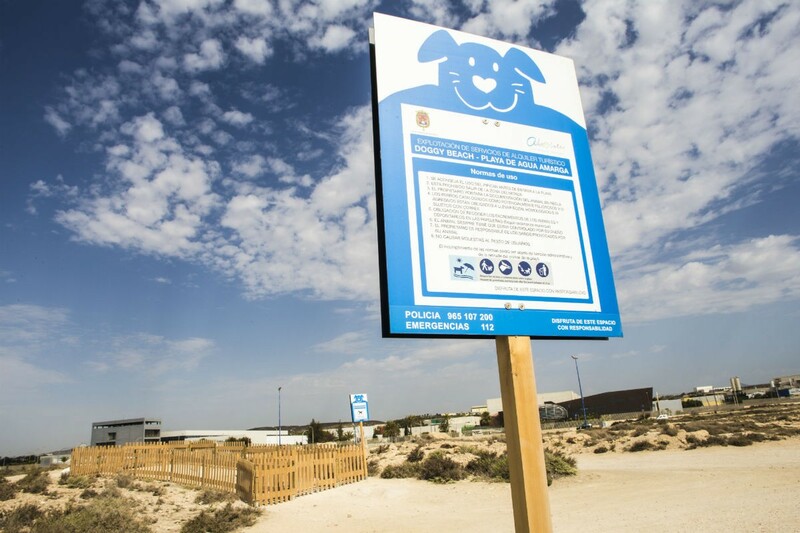 To make sure your dog is also comfortable: ask at the beach bar about the services available.The Playa de Aguamarga has a special cleaning service, with a fenced in ‘toilet’ area, for the comfort of users and their pets, as well as hygiene bag dispensers and bins for their disposal. 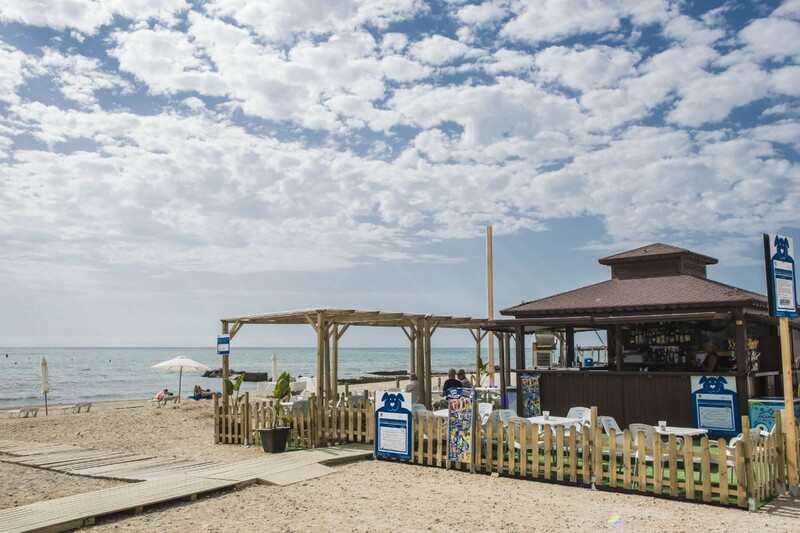 You can also get there by car from the N332 road to Santa Pola, Alicante’s Airport. 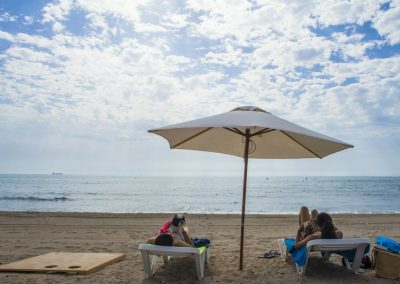 Detour to Playa Urbanova. 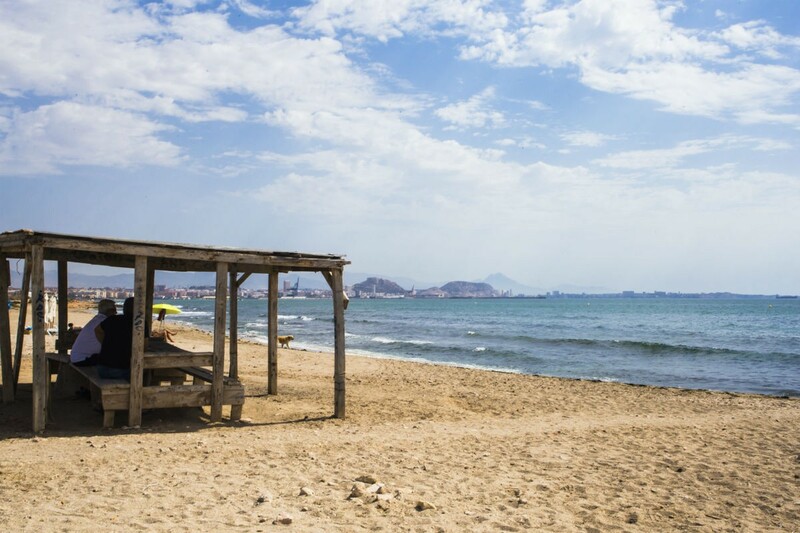 The beach of Agua Amarga is located before reaching the beach of Urbanova.